MAKE WAY FOR THE ULTIMATE RUDE HEALTH HAMPER. THIS BREAKFAST SELECTION EATS OTHER BREAKFASTS FOR BREAKFAST. WHAT ARE YOU WAITING FOR? YOU'RE IN RUDE HEALTH WHEN... YOU'RE A MUESLI MIXOLOGIST. YOU'RE MORE OAT COUTURE THAN HAUTE COUTURE. YOU SKIP ROPES, NOT MEALS. I want to sign up for Rude Health news. This promotion is in no way sponsored, endorsed or administered by, or associated with, Facebook. You are providing your information to Rude Health and not to Facebook. The information you provide will only be used by Rude Health. 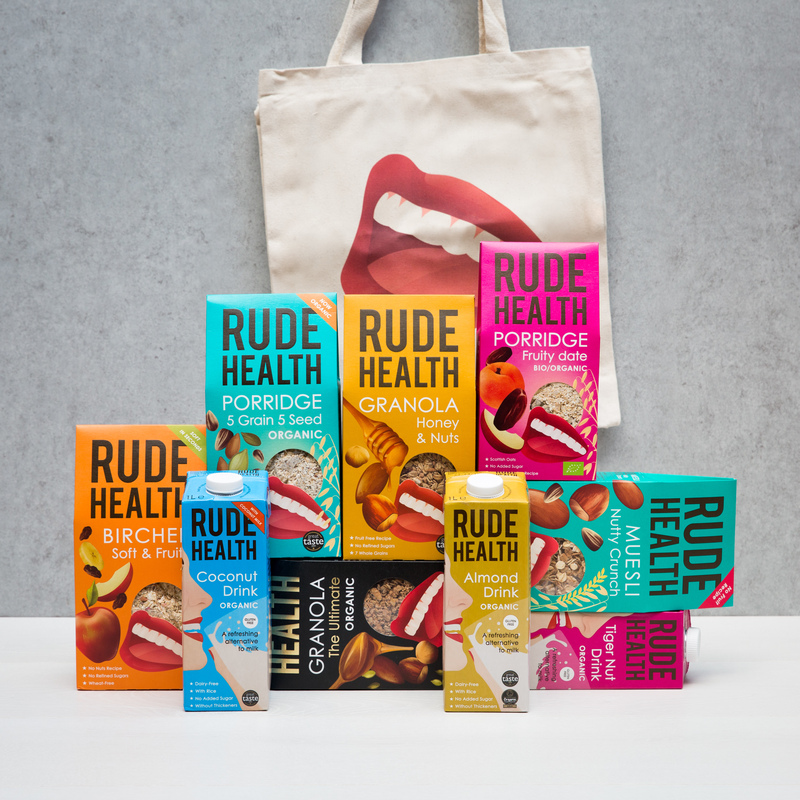 If you agree to receive Rude Health news you will automatically be subscribed to the Rude Health newsletter featuring upcoming events, our latest recipe inspiration, new foods and drinks, offers and other competitions.